Tools and instructions included for quick assembly. Item arrives. You contact us. We send expert to assemble. Disclaimer: $199 for NYC only. Email us for a custom quote if you're located outside NYC. The Lounge Chair reproduction is one of the most famous mid-century modern pieces. Its replica form and functionality have made it one of the most sought after pieces in modern history. This iconic design can be found in popular films, television shows, businesses and in thousands of residences across the globe. Its designers, Charles and ray Eames, had originally intended to give it the look and feel of a well worn first Baseball mitt. It led to the creation of the Manhattan Home Design Lounge Chair and Ottoman, featuring your choice of multiple leather finishes, high density cushions and imported veneers. Whether you are craving that Mad Men look, or are looking to outfit your living room with a modern design, the Manhattan Home Design Lounge Chair is the right choice for you. Specifications: What makes the Manhattan Home Design Lounge Chair so special? This premium Manhattan Home Design Lounge Chair is the creme de la creme when it comes to style and comfort. 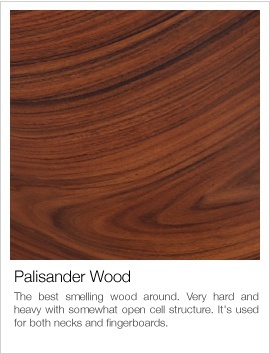 Each of our leather options offer an incredibly supple texture, and develops a wonderful softness over time. Knowing that it will only age, like wine makes the lounge chair a brilliant investment for your home or office. Charles & Ray were an American husband and wife team that changed furniture design and architecture during the 20th century. They were vital in popularizing new materials and techniques for crafting furniture, such as using molded plywood, fiberglass, plastic resin and wire mesh. This item is not an original Charles & Ray Eames Lounge chair, nor is it manufactured by or affiliated with Herman Miller. Because the surface structure is fully visible in aniline leather, only completely flawless leather hides can be processed. Any damages on the skin surface of the animal caused by horn scratches, warts, insect bites and other markings can leave visible scars. Such hides cannot be used for making aniline leather. 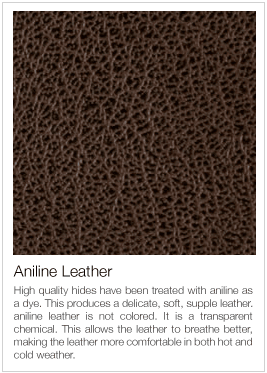 Because the majority of hides have some scars or damage, supply and demand dictates that aniline leather is generally more expensive than pigmented leather. Tanners state that less than 5% of the delivered skins can be processed as aniline leather. What To Look For When Buying An Eames Lounge Chair? I have ordered one of their chairs (The Eames replica), and will write a full review once I receive the chair. So far my experience dealing with them has been okay on their site... However, I did send a couple of emails to them asking for quality assurance pictures and never received any response whatsoever from them which wasn't a plus. I ordered the chair from them anyways going off of other reviews I had read on the net previously. Ordered on Tuesday afternoon, received on Friday morning in perfect shape. Assembled with help from my wife, and we both kept saying WOW what a beautiful chair. Wood and leather are perfect. Assembly was generally easy but arm pads were a little challenging. We are totally pleased with the service and quality of this product, just WOW what a beautiful chair. "I bought a pair of these chairs for my living room a year ago. Only two people live at my home, I say this so you know there has not been a lot of people sitting in them. Although the leather is of quality and the plywood is of quality, the hardware assembly is not of quality and the back of my chairs is now at a incline that is not acceptable. Little by little I would notice a screw here and there and some shavings of wood. Not until I took the chair apart did I notice that the entire back is held in place with a couple of small screws for the incline. 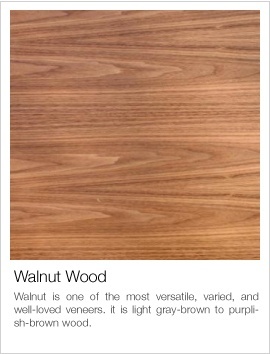 they work themselves out over a period of time and the wood behind them was unusable. I had to drill two new holes in the metal bracket to find good wood. 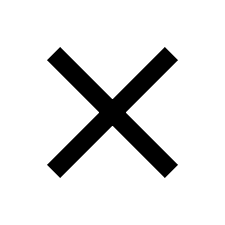 This fixed it temporarily but I will have to figure out a better way. Poor engineering. Recommend 100%. 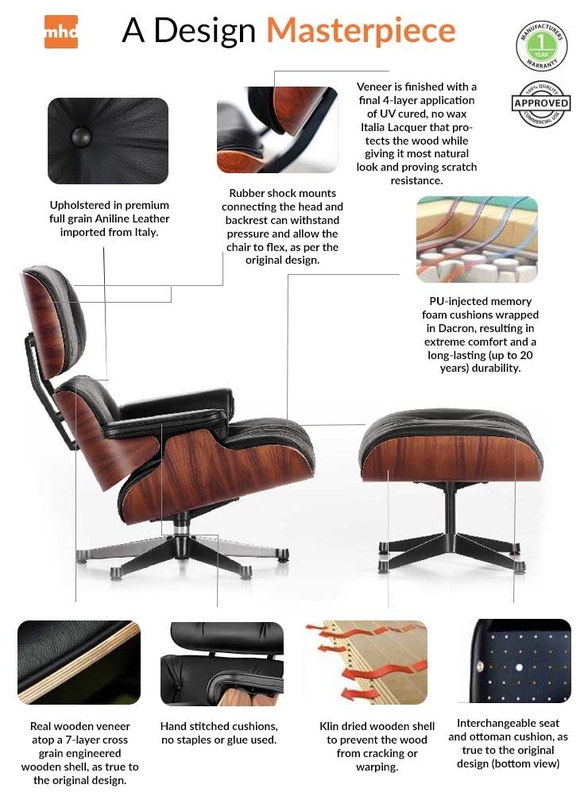 The reproduction replica Eames Lounge is the best I've ever seen. Paid a little more than some of the other competitors, but it's well worth it. The other guys are cheating you somehow, trust me.